AYWA deliver an explosive catchy music that draws people together and dance. 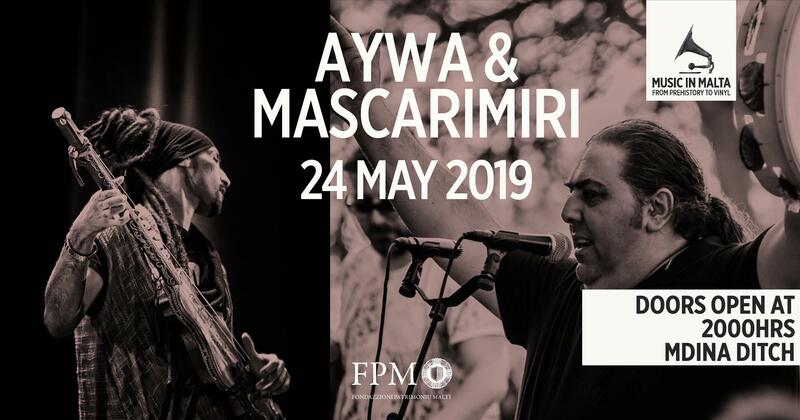 Inspired by a wide range of influences, from traditional music of Maghreb, The Balkans or Northern India, to jazz, occidental rock and electro music, Aywa perform a smart combination of various styles and sounds that make up an inventive, dynamic and rebellious show! MASCARIMIRI were formed between the Fall of 1997 and the Winter of 1998, when Claudio ‘Cavallo’ Giagnotti and Cosimo Giagnotti (two brothers of Roma origins) chose to end their experience with Terra de Menzu; one of the first bands whom at the beginning of the 1990s, contributed to the resurgence of Salento traditional music. They present a mixture of the Pizzica Pizzica sounds with the Arabic and Andalusian flavour, the Tammurriata in electro gipsy and the Tarantella Punk Tarantolato. Join these 2 bands for a night of Mediterranean music as part of #MusicInMalta Project!